Many people get bogged down in religion. Religion consists of rites and rules. Christianity isn't a religion, it's faith. Unfortunately many people have perverted the Gospel by bringing in the doctrines of men. What is the Gospel? It's Good News. To appreciate the Good News you first need to understand the bad news. Human beings are sinners. You are and I am. We don't like to admit that fact, and mostly we judge our actions by human terms. "I'm as good as the next guy". That's not good enough to allow you to stand in the presence of God Almighty. The "next guy" is a sinner just like you. "For all have sinned and come short of the glory of God;" Romans 3:23. We don't recognize our sin for a couple of reasons. We can justify our own sins and we don't look at sin through the eyes of God. Sin is rebellion to God. Only His opinion matters and there's no negotiating with Him. If that seems unfair to you then that's a sign that you're in rebellion to Him. You want life on your own terms with no thought to consequences of your actions. Sin always causes damage. God gave us rules to protect us from ourselves. All things in life have rules, but we only rebel against God's rules. Have you ever played baseball? The rules say you only get three strikes. Do you have to be at work by a certain time or be fired? If you break the rules you face the consequences. These are rules that we just accept. Why, then, do we rebel against God when the rules He gave us are to protect us? "For the wages of sin is death..." Romans 6:23a. When we rebel against God we choose our own destruction. The death referred to isn't just moving from this mortal life to the next one. The death referred to is eternal death. When a human dies the mortal body goes to the grave but their spirit lives eternally. We all make our own choice as to where we spend that eternity. "...but the gift of God is eternal life through Jesus Christ our Lord." Romans 6:23b. That's good news. The first rebellion against God was when Lucifer/Satan/the devil decided he wanted to be like God. He led a band of angels in rebellion and when he couldn't prevail against God he decided to convince Adam and Eve to rebel. God had placed them in the Garden of Eden where they had everything they could possibly want. Satan convinced Eve to eat the one thing that God had forbidden them to eat. He told her God had lied when He said that they would die if they ate the fruit... that God knew they would become gods if they ate it. Satan lied. By eating the forbidden fruit Adam caused the fall of mankind and today we're under the curse of death. "Wherefore, as by one man sin entered into the world, and death by sin; and so death passed upon all men, for that all have sinned." Romans 5:12. Adam's sin broke fellowship with God, but it didn't stop God from loving His creation. Adam and Eve were expelled from the Garden and their life became full of heartache and toil. They watched as their son Cain murdered his brother Abel. They watched as their daughters and granddaughters mated with rebellious angels and saw all of God's creation corrupted. God judged this rebellion by sending the Flood. Today we're living in the same rebellion to God that has existed since Adam chose to eat that fruit. None of this surprised God. God exists outside of time and He knew that the rebellion would happen. He didn't want it to happen but He loved His creation enough to allow free will. Each and every person has the choice to follow God's ways or the ways of the world controlled by Satan. Only eight genetically pure humans entered the Ark. Their genes weren't corrupted through mating with the fallen angels. What Noah and his family had witnessed prior to the Flood should have convinced them to follow God's laws without question, but the sin nature was still there. It wasn't long before sin was rampant. When the time was right God called a man out of a pagan culture to follow God and become the father of His chosen people. "By faith Abraham, when he was called to go out into a place which he should after receive for an inheritance, obeyed; and he went out, not knowing whither he went." Hebrews 11:8. By faith the Hebrew nation began. Many years after Abraham lived, God's chosen people would go into Egyptian captivity. When the time was right God called another man to lead the people out of Egypt. Moses was born Hebrew but was raised in the pagan culture of Egyptian royalty. Eventually Moses had to flee to Midian and there he met God. This encounter was life-changing. God directed him to return to Egypt and petition Pharaoh to set the Hebrews free from the slavery they had been living in for centuries. "By faith he forsook Egypt, not fearing the wrath of the king: for he endured as seeing him who is invisible." Hebrews 11:27. Instead of looking to the pagan world for answers, Moses had faith in God. That faith caused him to confront Pharaoh and eventually the Hebrews were set free. In faith Moses led them to Mt. Sinai where God made His laws clear. Most people can name one or two of the Ten Commandments, but those are just a small part of the entire Law. The first Commandment is "Thou shalt have no other gods before me." Exodus 20:3. Satan wanted to be like God and convinced Eve that sinning would make her like God. There is no God but the God of Abraham, Isaac, and Jacob and no god is to be put before Him. Not the god of self, riches, greed, or any other idol that causes us to turn from Him. Still, people rebel. We listen to Satan's lies rather than God's truth and then blame God when we run into trouble and get hurt. The Law was given as protection. If followed it would separate the Israelites from the pagan culture around them. "Wherefore the law was our schoolmaster to bring us unto Christ, that we might be justified by faith. But after that faith is come, we are no longer under a schoolmaster." Galatians 3:24-25. The Law was just one step in the perfect plan of salvation that God had devised before the foundation of the Earth was laid. The Jewish Law is recorded in the Torah, which is the first five books of the Bible. Nobody can follow that Law perfectly. It was given to the Jewish people, but is the rules for all of mankind. We might think we can follow it, but people have lower standards than God. "Ye have heard that it was said by them of old time, Thou shalt not kill; and whosever shall kill shall be in danger of the judgment: but I say unto you, That whosoever is angry with his brother without a cause shall be in danger of the judgment: and whosoever shall say to his brother, Raca, shall be in danger of the council: but whosoever shall say, Thou fool, shall be in danger of hell fire." Matthew 5:21-22. God's standards are much higher than humans who follow the god of this world. "Ye have heard that it was said by them of old time, Thou shalt not commit adultery: but I say unto you, That whosoever looketh on a woman to lust after her hath committed adultery with her already in his heart." Matthew 5:27-28. Do you watch movies which are designed to provoke lust? Do you ogle every woman who walks by you? God's plan is that one man and one woman come together as man and wife and cleave to one another. Anything other than that is sin. Don' t think this is limited to men looking at women; it pertains to every lust of the flesh. Is there any hope for us? "O wretched man that I am! who shall deliver me from the body of this death?" Romans 7:24. It was never God's will that humans be separated from Him. Still, He gave Adam and Eve the right to choose to obey Him or to rebel. Eve followed the wrong rules and allowed Satan to talk her into choosing death. Adam could have chosen not to join in the sin, but he also chose rebellion against God. Through Adam humans have inherited the sin nature. Through it all, God had a plan to heal that separation. "For it is not possible that the blood of bulls and of goats should take away sins." Hebrews 10:4. The Law stipulated blood sacrifices of animals to cover sin, but only the pure blood of God, untainted by sin, can take sin away. God Himself entered His creation and shed His perfect blood for our redemption. Listen carefully. 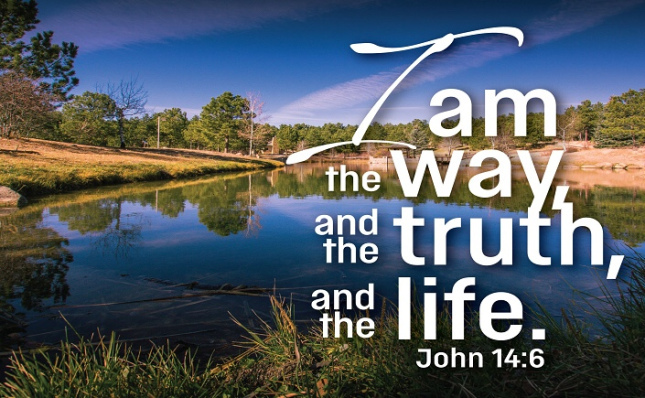 There is only one way for you to be reconciled to God. Only one. That is faith in the death, burial, and resurrection of Jesus Christ. The Law taught God's expectations, but He knew that people wouldn't be able to live up to those standards. If God lowered His standards then He wouldn't be God....sovereign and holy. The once for all sacrifice was made by God Himself...Jesus Christ. God's love is perfect. There's no sin that's beyond His forgiveness. Most of us know this verse, but let's say it together. "For God so loved the world, that he gave his only begotten Son, that whosoever believeth in him should not perish, but have everlasting life." John 3:16. We all need to understand those words. God loves us. God gave His only begotten Son to pay the price for our sin. Jesus came because He loves us, He didn't come to condemn us. "For God sent not his Son into the world to condemn the world; but that the world through him might be saved. He that believeth on him is not condemned: but he that believeth not is condemned already, because he hath not believed in the name of the only begotten Son of God." John 3:17-18. God doesn't condemn us...we condemn ourselves. The only unforgivable sin is rejection of Jesus Christ. If we choose not to believe in Jesus Christ then we choose eternal death. That choice has to be made while you live on this side of Heaven. That's the Gospel...that's the Good News. Our sins are forgiven by faith in Jesus. "Moreover, brethren, I declare unto you the gospel which I preached unto you, which also ye have received, and wherein ye stand; by which also ye are saved, if ye keep in memory what I preached unto you, unless ye have believed in vain. For I delivered unto you first of all that which I also received, how that Christ died for our sins according to the scriptures; and that he was buried, and that he rose again the third day according to the scriptures" 1 Corinthians 15:1-4. No ritual can bring salvation...not following the Jewish Law, Catholic guidelines, or any other religion not based upon faith in Jesus Christ alone. Salvation is an individual choice. If someone baptized you when you were a baby, you need to make your own choice today. God's Law hasn't changed. Sin as disclosed by Scripture is still sin today. There's only one way for your sin to be forgiven and that's first to recognize that you're a sinner then accept the shed blood of Jesus Christ for your redemption. Do that today...right now. Tomorrow may be too late. That's the Gospel truth. IT'S IN THE AIR; CAN YOU FEEL IT? For quite some time now, we have known that Jesus Christ is close to coming again to get his bride, the Church. The true, sanctified believers that pretty much know the Scriptures and study Bible prophecy see the signs coming together. With all the "convergence" jigsaw pieces of the puzzle falling in place, it appears the return of the Lord will be soon. 1 Thessalonians 4:16-17 "For the Lord himself shall descend from heaven with a shout, with the voice of the archangel, and with the Trump of God: and the dead in Christ shall rise first. Then we which are alive and remain shall be caught up together with them in the clouds, to meet the Lord in the air: and so shall we ever be with the Lord." It's like you can tell with that sixth sense that something is on the horizon, and this feeling is good; in fact, it's a grand feeling! It's in the air like a cool breeze or that wonderful gut feeling a person gets. Jesus gave us many clues in the four Gospels, and the Apostle Paul did also in his epistles. When you put all these pieces together, they add up to one indelible conclusion: the Rapture, or "parousia" which means in Greek, presence or arrival. In this context, it's the return or catching up and away of the bride of Christ. We look at this as an example of a Jewish wedding. The scriptural signs are coming closer to fruition, with many end-time biblical scholars and laymen stating this. Just last week, the White House announced it is sending its negotiator, Jared Kushner, to the Mideast to bring its unveiled Israeli/Palestinian peace plan to Israel, Egypt, and Saudi Arabia. We appear to be getting ever closer to that "confirming" of "a covenant with many" (Daniel 9:27) by the Antichrist who will come from the revived Roman Empire. He will confirm a treaty that already exists. Then the Arabs could possibly be in agreement with him when he allows the Jews to build their third Temple. They are chomping at the bit to begin that. They almost have everything ready to start. Of course, there are many significant parts involved at this point that make us so sure we are close to departing this earth. And we know the antichrist has to have a temple to go into 3 ½ years into the seven-year tribulation to desecrate it and proclaim himself to be God. 2 Thessalonians 2:4 "Who opposeth and exalteth himself above all that is called God , or that is worshiped; so that he as God sitteth in the temple of God, shewing himself that he is God." It's our belief that Scripture shows the Rapture will be before the seven-year Tribulation (at the end of the Church Age). Scripture also tells us that the antichrist's confirming of a "peace" agreement with the Jews (Israel) will begin the Tribulation. Can you realize this? We will not be here. This could happen today. The Lord could delay his return for a while of course; no one knows the day or the hour. Matthew 24:42 "Watch therefore: for ye know not what hour your Lord doth come." Hebrews 10:25 Not forsaking the assembling of ourselves together, as the manner of some is; but exhorting one another; and so much more, as ye see the "day approaching." Get busy! 2 Timothy 2:1-5 "perilous times" (oh wow, if this isn't a brutal reality, I don't know what is). I'm in the old crowd now, and this is so true in these days. Read these verses! The lining up and "in our face" are the scriptures coming to revelation right now in our lifetime. Get that King James 1611 Authorized Word of God out now and be awed. It's the Living Word. I admit, I am flawed, but God's Word, isn't it? All Scriptures, unless otherwise noted, are taken from the 1611 King James Version. I could write all these out for you, but take the time to dig into God's Word. Remember, Jesus told the Jews (could have been the religious authorities; we are not sure) in John 5:39, "Search the scriptures; for in them ye think ye have eternal life: and they are they which testify of me." The point is, look at these scriptures and others, and you will see how all these puzzle pieces are coming together. 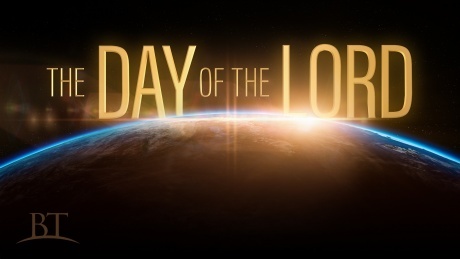 It's according to God's perfect plan for humankind as we "see the day approaching" (Hebrews 10:25). Note: There are differences regarding this scripture with scholars and laymen as to whether this Hebrews verse applies to the Rapture or Second Coming of Christ. We, as born-again, Bible-believing saints, need to continue to be the salt and light in this world that is rapidly darkening, until the Time of the Gentiles is fulfilled (Luke 21:24). Jesus said the Gospel will be preached to all nations; and with the technology today, it's probably been done. For those who read this and are not born again by the blood of Jesus, I pray you make a decision now to place your faith and trust in Him (John 11:25). If some of you are not absolutely sure of your salvation, email me or one of the other writers, and get that assurance. Don't get left behind to go through that terrible Tribulation that the book of Revelation and other Scriptures mention, that no words can express. We all have a set time to die naturally, or when Jesus comes for us. We don't know which one it will be. Have you ever heard born once, die twice? Born twice, die once? Born physically in your mother's womb once, die twice: physical and spiritual death - in the lake of fire forever. Born twice, physical birth, and spiritual birth - putting your faith in Christ; die once - then with the Lord forever. Eternal salvation with the lord is a free gift (Romans 6:23). There's nothing you have to do. You can't earn or buy it. Jesus paid that debt for you. Just accept it and become a child of God. I've written before about the danger from the Yellowstone caldera. 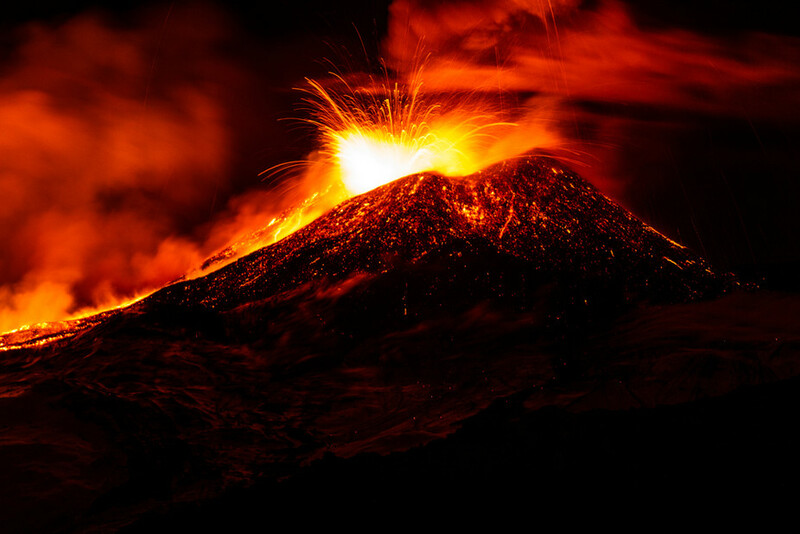 Scientists have learned that this super volcano has exploded several times with massive force. An eruption today would kill tens of millions of people. There has been an endless series of earthquakes in the area. Scientists continue to tell the public not to worry. Yellowstone has a 600,000-year eruption cycle, and oddly enough, the last one occurred 600,000 years ago. We really don't know what to make of these warning signs. The going assumption is that we are safe from danger by the chance of an actual eruption being thousands of years down the road. I've looked at several young-earth creationist sites on the timing of Yellowstone's eruptions. They say its last one occurred possibly in 2,000 BC, but they are strangely silent on any future events. If our safety margin is actually 150 times smaller, they need to boldly speak up on this issue. There is another danger to the world that has a much shorter cycle-a massive landslide in the Hawaiian Islands. About every 30,000 years, a large section of an Island will break off into the ocean. The southern section of the Big Island of Hawaii has had a spectacular occurrence of lava flows. The USGS notes that an estimated 7 billion cubic feet of lava has poured out in a massive eruption which began on May 3. The lava is "enough to cover Manhattan 8 feet deep" and fill 15 million average dump trucks, it said. The fresh lava has added 11 square miles to the Island. The buildup of this new material on the ocean's edge will eventually result in a landslide. The average slope of the northern side of the Big Island is three degrees. The pitch at the southern end is six degrees. A return to stability would require a 100 cubic mile section to slide into the ocean. Another indication that the danger may be all too real is the removal of information related to Kilauea and tsunamis. Wikipedia maintains a history of its article edits. I ran across a page that had gone from saying mega-tsunamis are a "natural" event to "Geologists are confident no such failure is likely" and "...supposed threats of mega-tsunamis are exaggerated." I don't think there will be a mega-tsunami in the Pacific Ocean any time before the Kings of the East invasion. China would be shattered by such a wave, and I don't see how it could launch a 200-million- man army invasion of the Middle East after being hit by a mega-tsunami. "The sky receded like a scroll being rolled up, and every mountain and island was moved from its place" (Revelation 6:14). The land claimed by Israel is smaller than the state of Rhode Island. In comparison to the Arab Middle East, Israel is like a single piece of sod on a football field. Carrying the analogy further, imagine that one team has to defend that single piece of sod from an opposing team that outnumbers them 650 to 1. The other team, claiming unfair advantage, is demanding the single piece of sod be divided and half of it be awarded to them. The referees agree, and penalize the defending team for refusing to concede half of its 1/6th of one percent of the field to the opposition [that outnumbers them 650 to one]. The crowd loudly boos the defenders. That is roughly analogous to the rules of engagement under which the Middle East conflict is being played out. The Arab side makes two concurrent claims; 1) Israel has no historical right to the land; and 2) Israel, by its existence, has dispossessed the indigenous Palestinian people, leaving them with nowhere to go. Except for a few decades of Christian control during the Crusades era, the land claimed by Israel was under Islamic control for 1300 years. This is one of the principle arguments advanced in favor of the Palestinian claim that Israel has no historical right to the Land of Promise. That argument is bolstered by the existence of an Arab mosque atop what the Jews claim as Temple Mount, a mosque that has graced Mount Moriah for some 1,350 years. According to modern Islam, the mosque atop Mount Moriah is the third-holiest site in Islam. Recenty Islamic tradition says the al Aqsa Mosque marks the place where Mohammed ascended into heaven aboard a winged horse. 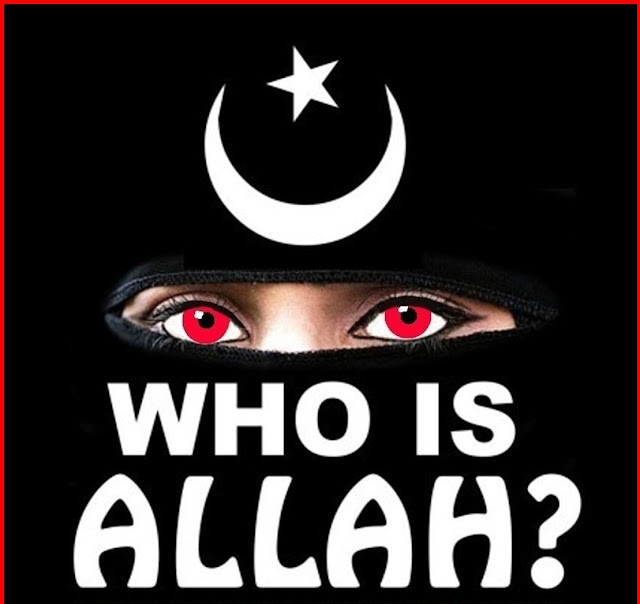 For that reason, it now ranks third in line behind Mecca and Medina as Islam's holiest cities. In ancient times, Israel sat atop the most strategic crossroads of the known world. One couldn't get from Babylon to Egypt by chariot without passing through it. Israel and Jerusalem have been fought over and conquered by the Assyrians, Babylonians, Persians, Greeks, Egyptians, Romans, Arabs, Turks, and finally, the British in 1917. In each of its conquests, Jerusalem was strategic because of its strategic value as Israel's God-given capital. From Nebuchadnezzar to Titus, each successive conqueror acknowledged Jerusalem as the capital of the Jews. When the region was conquered by Islam, taking Jerusalem was a strategic, rather than religious necessity. Whoever controlled the Jewish holy city controlled the remaining indigenous Jews. The reconquest of Jerusalem became a holy religious duty only after the Crusaders claimed the city for Christianity. Since the city was holy to Judaism and holy to Christianity, it became holy to Islam, as well. But 'holy' doesn't mean the same thing to Islam as it does to Christians and Jews. To Christians or Jews, 'holy' means worthy of reverence, whereas to Islam, 'holy' means worthy of possession. Under Islamic possession, Jerusalem was just another dusty city of the province of Southern Syria. In the four hundred years Jerusalem was under Ottoman rule until 1917, the city was never even a regional or provincial capital. After the Ottoman Empire fell to the Allies in the First World War, British foreign secretary Lord Balfour put into writing Britain's support for "the establishment in Palestine of a national home for the Jewish people." When the League of Nations made Palestine a British mandate after the war, Lord Balfour's declaration was assumed as part of the deal and the allied powers of the Great War all agreed. By 1935, there were more than 300,000 Jews in Palestine. Tel Aviv, founded in 1909, had 100,000 people. In 1947 Britain, which had been handed the Palestine problem by the now-defunct League of Nations passed it on, with relief, to the newly born United Nations. The UN agreed to partition Palestine into a Jewish state, an Arab state, and a neutral UN zone containing Jerusalem, a city sacred to three religions. The Jews were thrilled, the Arabs adamantly opposed. In late 1947 the plan was ratified by the UN, and the State of Israel proclaimed on May 14, 1948. Hundreds of thousands of Palestinians fled the country. The the British pulled out completely, and most of the Arab world- Egypt, Transjordan (now Jordan), Syria, Iraq, and Lebanon, as well as Palestinians- immediately attacked in an attempt to destroy Israel. By the time of armistice in 1949 Israel held three quarters of Palestine- twice as much land as the UN had proposed- Jordan had taken the land on the West Bank of the Jordan River, and Egypt had taken the Gaza Strip. It is at this point in the story of the Middle East that history ends and the modern myth of the Middle East is born. The modern myth is that at the end of the Israeli War of Independence, the indigenous 'Palestinian' people were dispossessed by Israel and left with nothing. The historical fact is that, until the mid 1930's, the term 'Palestinian' was a label applied to the Jews. Until 1950, the name of the Jerusalem Post was THE PALESTINE POST; the journal of the Zionist Organization of America was NEW PALESTINE; Bank Leumi was the ANGLO-PALESTINE BANK; the Israel Electric Company was the PALESTINE ELECTRIC COMPANY; there was the PALESTINE FOUNDATION FUND and the PALESTINE PHILHARMONIC. All these were Jewish organizations. In America, Zionist youngsters sang "PALESTINE, MY PALESTINE", "PALESTINE SCOUT SONG" and "PALESTINE SPRING SONG"
In general, the terms 'Palestine' and 'Palestinian' referred to the region of Palestine as it was prior to 1948. Thus "Palestinian Jew" and "Palestinian Arab" are straightforward expressions. "Palestine Post" and "Palestine Philharmonic" refer to these bodies as they existed in a place then known as Palestine. The adoption of a Palestinian identity by the Arabs of Palestine is a recent phenomenon. Until the establishment of the State of Israel, and for another decade or so, the term 'Palestinian' applied exclusively to the Jews. The claims of the Arab 'Palestinians' to be a separate people is an utter fiction. There is no language known as Palestinian. There is no distinct Palestinian culture. There has never been a land known as Palestine governed by Arab Palestinians. Arab Palestinians are indistinguishable from Jordanians (recent British inventions all), Syrians, Lebanese, Iraqis, etc. Syria was created by the British and subsequently given to France as the French Mandate. The Syrians declared independence after the British left in 1946, two years before Israel did the same thing. Jordan was created by the British in 1921. The same British government that created the modern Arab world in 1920 at the San Remo Conference in Italy -- by decree -- also created a Jewish homeland the same way at the same conference. And the Jewish Palestine of the Balfour Declaration as confirmed at San Remo encompassed a much bigger chunk of ground than Israel claims today. Until the Jews renewed their claim to the land of Palestine, nobody else wanted it. The Jews petitioned for statehood on the principle that Palestine was "a land without a people" and that the Jews were "a people without a land." Arab revisionist historians say that claim was 'a myth.' History and mathematics tell a different story -- if anybody were interested in the facts, that is. In 1948, there were about 735,000 Muslim and Christian Arabs in Palestine. There were about 716,000 Jews. Since the same land now supports a population of more than 12 million combined Arabs and Jews, the argument that the Arabs were 'crowded out' by the Jews makes no sense. The 'Palestinian refugees' languishing in 'refugee camps' in Jordan, Lebanon and elsewhere, were not interned by Israel. They were interned by their own governments after those governments lost the war with Israel. Those Jordanian citizens that lived in Jordan's West Bank and the citizens of Egypt's Gaza Strip (who, on May 30, 1967 were still Egyptians), became instant 'Palestinians' on June 7, 1967. From the moment of its declaration of statehood, the Jews of Israel have lived under the constant threat of annihilation by the surrounding Arab states. As Golda Meir observed during the Yom Kippur War, "the Arabs can fight, and lose, and come back to fight another day. Israel can only lose once." What makes this significant is that NONE of this is a secret. Knowing this, the entire world prefers the fictional account advanced by the Islamic world; that the Palestinians pre-existed the Jews, that the Jews stole 'Palestinian land' dispossessed its inhabitants and locked them away in refugee camps. Remember the football field and the single square of sod analogy. To the world, dividing that single square of sod defended by a team outnumbered 650 to one that holds the rest of the football field is an example of 'leveling the playing field'. It is nothing short of madness. But it is a madness that seems to have infected the world at large. The Islamic version of the Arab-Israeli conflict is a monstrous lie being advanced in favor of a claim to land that nobody wanted until the Jews did. In the midst of a global war on terror, the world is prepared to countenance an openly terrorist government ruling over a 'people' that do not exist, (a people whose only goal is the ANNIHILATION of another people whose history is THE most documented record of ancient times) based on the argument that the Jewish claim to Jerusalem is historically invalid. That lie is so delusional that it boggles the mind. Yet it is the basic reason for a global war on terror that now threatens to spill over into an all-out war of civilizations. The secular world's war, blind anti-semitism so ingrained in its psyche it is blissfully unaware it even exists. Any critically-thinking person can see the truth, yet the UN consistently finds the 'anti-truth' when it involves Israel. It is almost supernatural in its scope and breadth. In fact, scratch 'almost' from that last sentence. "The Father judges no one, but has committed all judgment to the Son" (John 5:22). There were times in the past when the judgment of God fell upon just one city-Sodom, Jericho, and Jerusalem, for example. There were other times when it fell-and will fall-upon the entire world-the Flood, the Tower of Babel, and the Tribulation. Did you know that there is not a single time recorded in the entire Bible-that God ever hurt or allowed any harm to come to anyone who followed His instructions and heeded His signs and His warnings before His judgment came? God has always protected those who obeyed His voice and observed His signs leading up to a widespread judgment that He warned of and prophesied beforehand. Why would the Tribulation be any different? God has always provided a physical deliverance of His people from citywide or earthly destruction. When judgment came upon the entire earth during the Flood, all the people of God consisted of only one family-and He delivered them. When the judgment of God came upon an isolated city or country-such as Sodom or Jerusalem-again the people of God were delivered from harm. The time will come when one day the judgment of God will fall upon the entire planet. At that time, the people of God will exist far and wide-among many nations. God will then provide a supernatural deliverance from a worldwide force and destruction. Titus surrounded only Jerusalem, and Joshua surrounded only Jericho-hence the isolated earthly deliverance of God's people from that area. The Antichrist will rule over the entire planet, and God's judgment will fall everywhere-hence the supernatural heavenly deliverance of all God's people from around the earth. Several times God has delivered His people before His judgment came such as the Passover in Egypt, Lot and his family from Sodom, and the people who fled Jerusalem in 70 A.D. Such will also be the case in the very near future when Jesus will Rapture His Bride before the worldwide judgment known respectively as: The Tribulation, The Time of Jacob's Trouble, The 70th Week of Daniel, The Great Tribulation, and The Day of the Lord. "For we are members of His body, of His flesh and of His bones. 'For this reason a man shall leave his father and mother and be joined to his wife, and the two shall become one flesh.' This is a great mystery, but I speak concerning Christ and the church" (Ephesians 5:30-32). "But one of the elders said to me, 'Do not weep. Behold, the Lion of the tribe of Judah, the Root of David, has prevailed to open the scroll and to loose its seven seals'" (Revelation 5:5). "Now when He had taken the scroll, the four living creatures and the twenty-four elders fell down before the Lamb, each having a harp, and golden bowls full of incense, which are the prayers of the saints. And they sang a new song, saying: 'You are worthy to take the scroll, And to open its seals; For You were slain, And have redeemed us to God by Your blood Out of every tribe and tongue and people and nation, And have made us kings and priests to our God; And we shall reign on the earth'" (Revelation 5:8-10). Why wouldn't Jesus protect and deliver His own wife from His own judgment-meant not for those who love Him but meant instead for those who deny Him? After all, the most significant and most important judgment of all time-the judgment that God prophesied beforehand throughout His entire Word and His creation-protects everyone who trusts in Him from eternal destruction: His judgment of all sin and death at Calvary. "Now is the judgment of this world; now the ruler of this world will be cast out. And I, if I am lifted up from the earth, will draw all peoples to Myself.' This He said, signifying by what death He would die" (John 12:31-33). That is why Christ Jesus is called "The Lamb of God," because He bore our sins and our judgment for us. How can it make any sense at all that He would beat and bruise His own wife that He loves and died for-while He is carrying out His own judgment, not against her-but against the rest of the world during the Tribulation? "Husbands, love your wives, just as Christ also loved the church and gave Himself for her" (Ephesians 5:25). We can take comfort (1 Thessalonians 4) that the Lord Jesus loves us and has already suffered the penalty of our sins, and He will deliver us from the wrath to come. Those who deny His sacrifice for their sins have no release from His judgment and feel no comfort. The verse above clearly states that the judgment of the Tribulation is God's judgment upon the world-not the devil's judgment upon the world. The devil is just a tool used by the Lord. The devil has no right to judge right from wrong as God does. God has used others to execute His judgment at various times in the past-such as Titus and Nebuchadnezzar. In like manner, He will also use the Antichrist to execute a portion of His judgment in the very near future. "For He has set a day for judging the world with justice by the Man He has appointed, and He proved to everyone who this is by raising Him from the dead" (Acts 17:31 NLT). Anyone who is not blinded by Satan can see very clearly that the world is now ripe for the judgment of the Day of the Lord. In fact-the world is past ripe-it is rotten. "Because you have kept My command to persevere, I also will keep you from the hour of trial which shall come upon the whole world, to test those who dwell on the earth. Behold, I am coming quickly! Hold fast what you have, that no one may take your crown" (Revelation 3:7, 10-11). IN GOD WE TRUST, OR DO WE?